Enticing in its beauty and majesty; lure and awe, Africa is a truly remarkable continent. There’s an enormous diversity of people, landmarks and varying terrain here set to suit every taste. However you see your holiday unfolding, thrilling adventures are the norm in Africa. If you’re an animal lover, you’re in luck; on Africa tours with Travelsphere, get ready to notch up plenty of wildlife spots. Head east for a tour of Kenya, where one of the most famous game reserves is the Masai Mara. This is where you’ll find the ‘Big Five’ – lion, elephant, Cape buffalo, rhino and leopard. Not to mention, Africa is also home to an array of other magnificent birds and beasts, such as vivid pink flamingos and galloping zebras. A wild African safari tour will leave you utterly speechless. 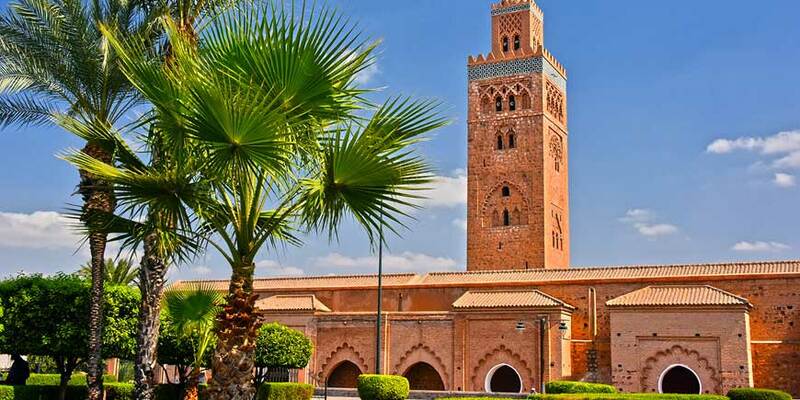 And then there’s the diversity of African landscapes; from the captivating sand dunes of Namibia to the coastal charms of Casablanca in magnificent Morocco, nature lovers are sure to be impressed. If you’re looking for a breathtaking holiday, Africa promises to deliver. Africa tour holiday packages with Travelsphere are what you need to enjoy this continent to the fullest. It is our goal to show travellers a delightful blend of highlights and hidden gems during their trip with us; whatever your chosen destination, we promise to make it memorable for all the right reasons! From tantalising Tanzania Safari to the ultimate South Africa tour, there are many wonderful surprises you can look forward to. Discover Africa on escorted tours with Travelsphere and enjoy attractions to rival anything you’ve seen before!